Empty frames are easily transformed into mini bulletin boards! 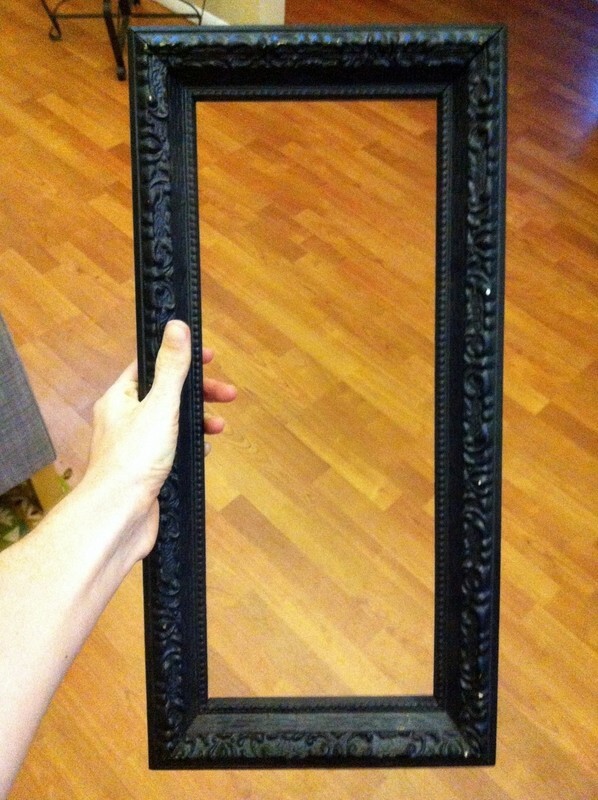 Empty frames are usually very cheap at thrift stores and hobby shops. I bought a few without knowing what I was going to do with them, and after I discovered this quick transformation I have made multiple bulletin boards! 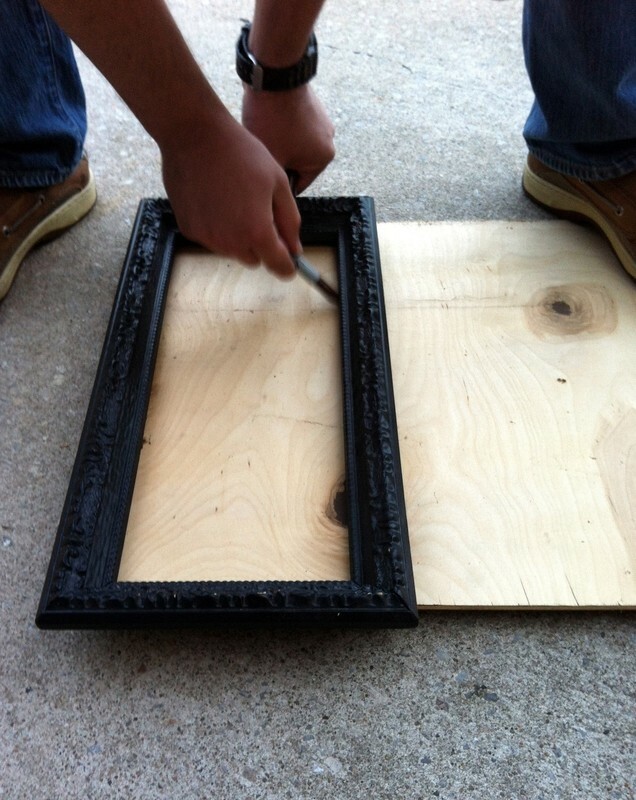 Get your empty frame ready (if you want to paint it, now would be the right time). 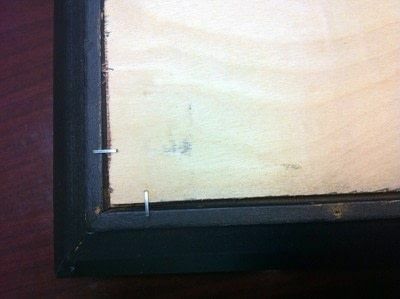 Trace the inside of your frame on a scrap of plywood. 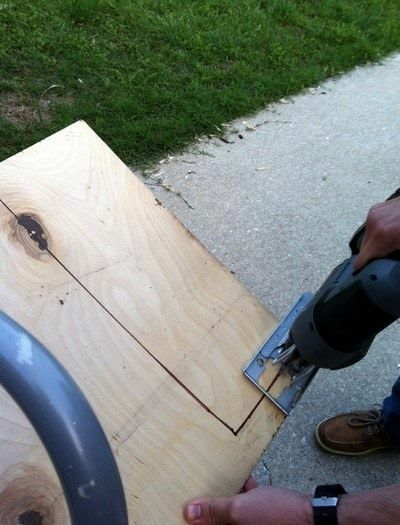 Use a saw to cut the plywood along your measured line. 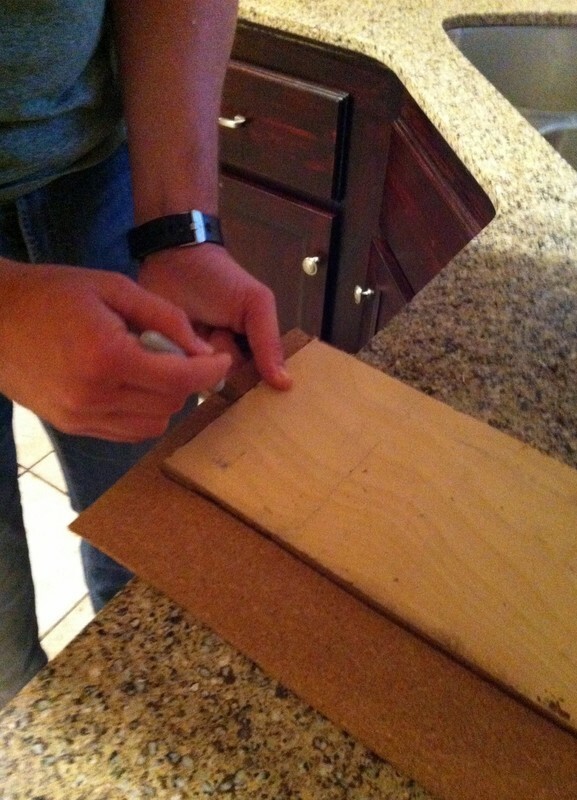 Trace the cork using the plywood as a guide. Then cut the cork using your Exacto knife. 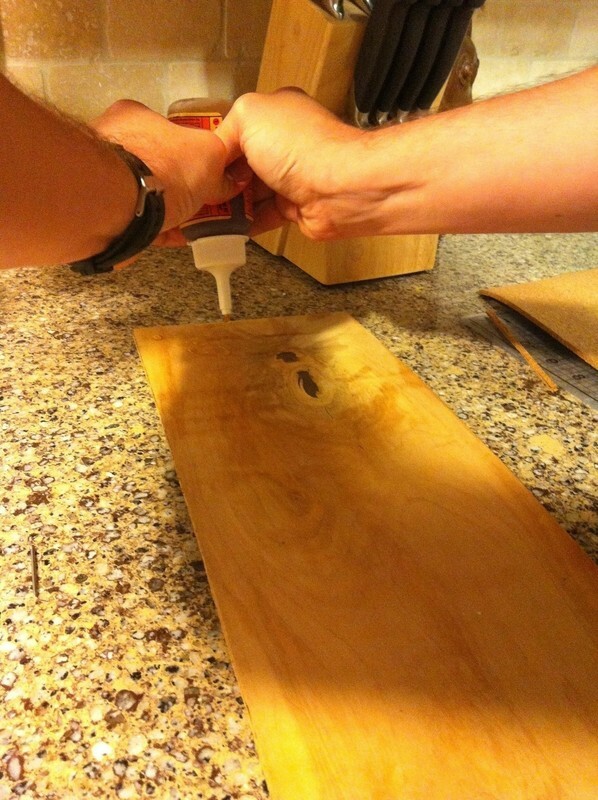 Using Gorilla Glue, glue the cork to the plywood. Clamp the cork and wood together and let it sit overnight. 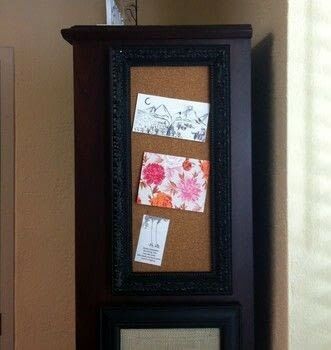 If you don't have clamps, you can rest heavy books on top. After the glue dries, staple the plywood/cork combo to the frame. 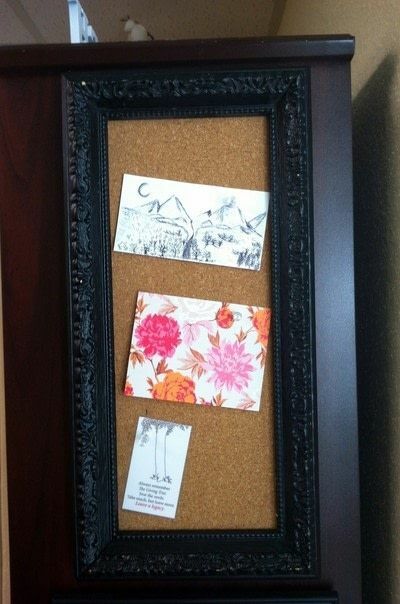 Use pushpins to hang anything you like on your new bulletin board!